The Makai has hosted all types of church groups over the years. Let us show your woman's group, your youth group or any type of retreat the reason that so many places of worship choose the Makai. Finding a place for your Church retreat that's ideal includes many considerations that include comfortable, affordable rooms to accommodate your members, both when it comes to lodging and meeting space. You also have to find a hotel that boasts opportunities for things to do, nearby restaurants and beautiful scenery. But do you realize how easy this is when you trust us at the Makai? 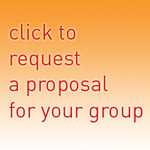 Call us or submit a request for proposal. We would love to provide you with the answers to all your questions and assist you in making your next Church retreat a success.